Home // The Latest // Youth 2019 Announcement! Youth 2019 in Kansas City! 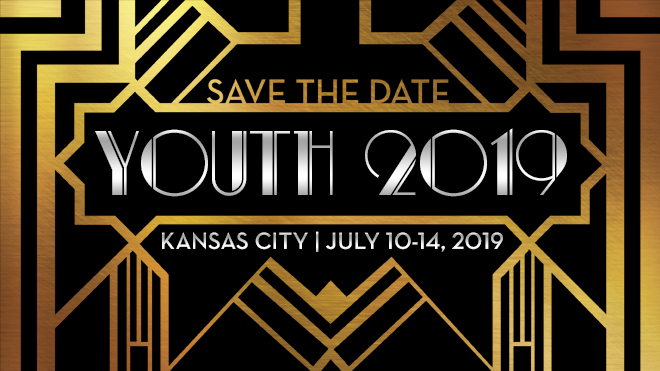 That’s right, YOUTH 2019 is coming to Kansas City, Missouri. You asked and we listened! We heard you wanted a more central location—did you know Kansas City is literally in the center of the country? We heard you wanted more affordable hotel options—you will have FIVE hotels to choose from in downtown Kansas City with a range of prices! We heard you wanted a fun location, full of culture—did you know Kansas City is second only to New York in theaters and museums? Plus, the Power and Light District is steps from the convention center! We heard you wanted more service opportunities—turns out Kansas City has nonprofits galore, some of them right outside the convention center’s front door. Oh, and we heard you didn’t want to worship in another plain old convention center ballroom, so we’ll be taking over the 10,000 seat Kansas City Municipal Auditorium for worship during YOUTH 2019! Stay updated and connected at our Facebook page!